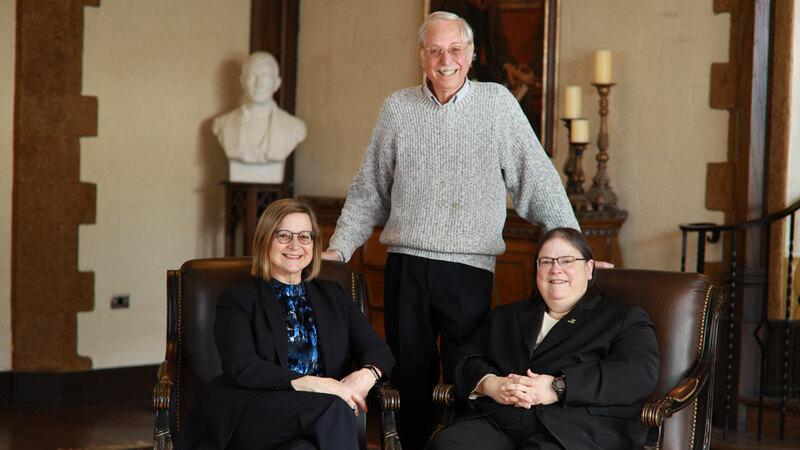 Three University of Toledo faculty members are recognized for their contributions to the studies of Astronomy and Chemical Ecology by the prestigious American Association for the Advancement of Science. Heidi Appel, PhD, dean of the Jesup Scott Honors College and professor in the Department of Environmental Sciences, has conducted research on how plants can “hear” by detecting feeding vibrations from insects and responding with an enhanced chemical defense. Another research project explores how galling insects trick plants into making novel structures that they then use as protected places to feed and reproduce. Some of these insects are major agricultural pests impacting grapes, wheat and rice worldwide. Karen Bjorkman, PhD, dean of the College of Natural Sciences and Mathematics, Distinguished University Professor of Astronomy, and Helen Luedtke Brooks Endowed Professor of Astronomy, is a leader in the field of stellar astrophysics and use of spectropolarimetry, which measures both the brightness and polarization of light at each wavelength, to better understand the gaseous disks around massive stars. Steven Federman PhD, professor of astronomy, has been recognized for his research of interstellar matter and for advancing the field of laboratory astrophysics. He also is a leader in establishing the field of laboratory astrophysics, which combines theoretical and experimental astronomy research with laboratory data and observations to better test theories. He was the first chair of the American Astronomical Society’s Division of Laboratory Astrophysics.